Have you ever been told by a dentist that you are going to need a root canal? Maybe you have wondered why? Or maybe you wondered what a root canal is? A tooth basically has three layers to it. 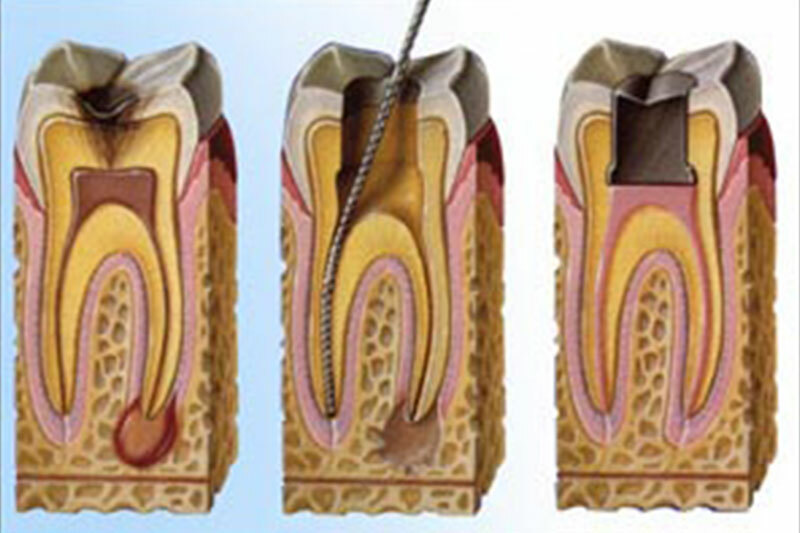 When bacteria gets into the third layer of the tooth (the blood vessels and nerves) then a root canal is needed. When a person has broken their tooth into this third layer a root canal may also be called for. A dentist removes the infected part, cleans the inside of the tooth and then fills the space. Afterwards, a crown is placed on the tooth to protect it and put it back into a condition where it can chew again.